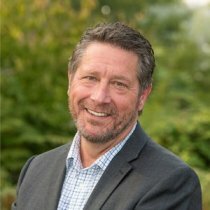 In the Surrey Municipal election, it is important that everyone’s voice is heard, and each individual is given a chance to cast their vote. October 6th, 10th, 11th, or 13th. To find out more information, please click here to visit the City of Surrey’s 2018 Municipal Election website. Out door knocking in the rain, in the Clayton area of Surrey, talking about our Surrey First vision. #ImagineOurCity with more rescue pups like Cooper. The Surrey Biofuel Facility is the only closed loop system in North America, and the Surrey First team brought this leading edge technology to Surrey to help reduce the regions’ carbon footprint. We fuel our vehicles with 100% renewable gas. Go to https://www.surrey.ca/city-services/13015.aspx … for more information. Removing the monetary barrier to our youth participating in public activities at our recreation centres, our rinks and our pools. #ImagineOurCity where kids 18 and under just walk to an aquatic facility and enjoy some “liquid fun” and don’t have to consider an admission fee. As part of Surrey First’s Public Safety Plan, we are proud to announce a $30 million commitment to invest in prevention and intervention community programs. 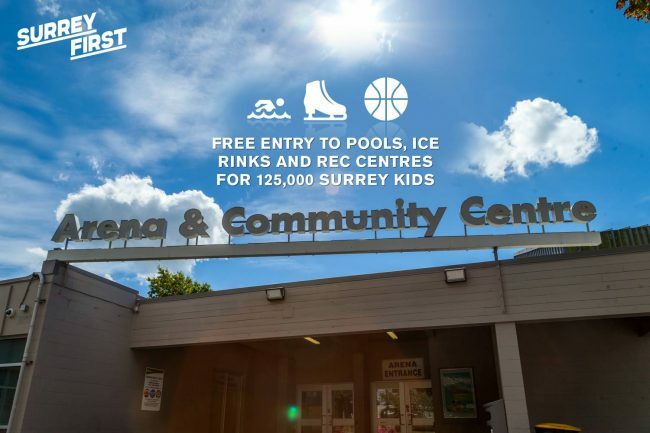 This means 125,000 Surrey children will now have free access to all City pools, rinks and rec centres. It will also create a new central hub to allow parents to access community resources for their kids with one phone call. This is an important step forward in supporting Surrey families and keeping young people active, engaged and moving forward in a positive direction. or visit the Surrey First Facebook Page. (every Wednesday) …at the North Surrey Recreation Center between noon and 6:00 pm. A #TrueSurrey free event where you can support local growers and eat the best local produce. Do you know where your dinner came from? I do! Wanted to share this post from the Discover Surrey Facebook Page. 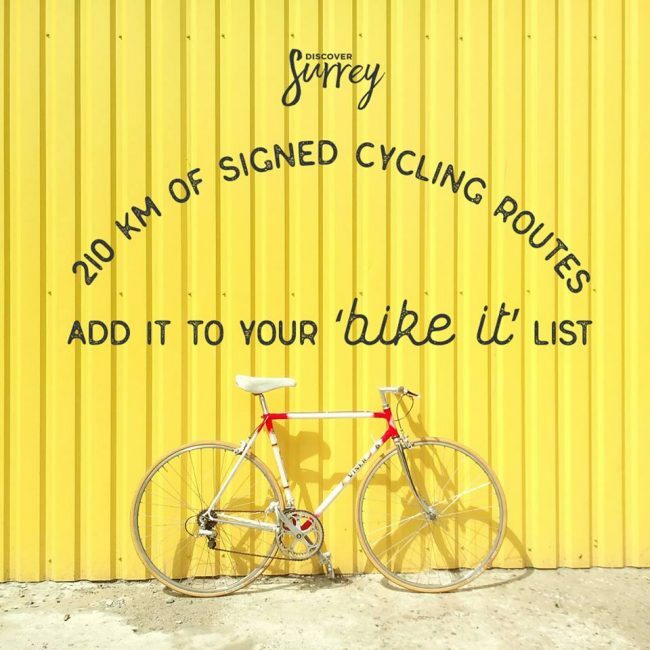 Here’s a quick taste of the trails… from the True Surrey website.